How websites help in choosing a right home to live in! With increasing numbers of smartphones spreading across irrespective of location is equally boosting the number of Apps installed on a smartphone. With approaching spring season it is a start of traditional home buying season with an equal opportunity to find information. However with online websites available more and more people are now buying home after doing an appropriate search online. And with smartphones, the search has to a greater extend has shifted to mobile search. There are many big property portals for UK market as Rightmove.com, FindaProperty.com and Globrix.com with a huge inventory of homes to buy and to let. 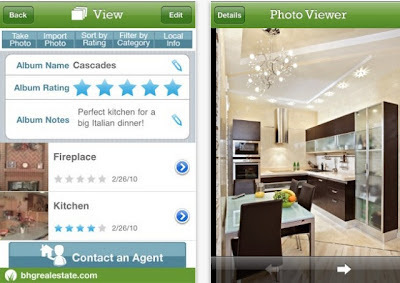 Apart from websites and portals there are many useful apps that can help you to find a suitable home for you. One such useful app is the mortgage calculator from London & Country mortgage brokers. It is complex tool to be used as guide as comparison tool between various websites. You are lured by various websites and apps from individual estate agents with attracting and catchy proposal for home buying. Apart from the information shared by the websites there are many other relevant information like the home being in a flood plain, the status of local services, local school results, scarce of pollution and the crime rates are some factors which are very necessary to look into before signing a home owning deal. There are incredible helpful apps with maps display necessary information ranging from the nearest chemist shop to the nearest post box. Monitoring the market is another important area where you can be aided out by various helpful apps in monitoring individual properties for price change from the website like Mouseprice website. Having the idea and opinion of two or three estate agents is handy while buying a new home.